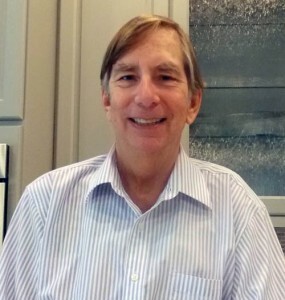 A retired Chicago banker who is now actively involved in fund-raising for various foundations and charities in Naples, Tucker has lived in Collier County for over 18 years. He started using Collier Pest Control in his first home in Collier’s Reserve in Naples in 1997. But when built his new home in Spanish Wells in Bonita Springs and moved in this past December, he inherited another pest control company that came with the home. But one could say that Tucker was spoiled by Collier Pest Control because he prefers them. “I am locked in with this present company until December, but I am slowly transitioning back to Collier Pest Control,” says Tucker. “The service technicians at Collier Pest Control never miss an appointment,” says Tucker. “They are reliable. They are always on time. They always take their shoes off and use footies. They are always careful with personal items in my home. They are very polite. I can’t say enough good things about all of them. “When I saw spider webs in my lanai recently, I didn’t call my new pest control company, I called Collier Pest Control,” says Tucker. “They sent out a fairly new technician named Gene and I had another great experience with the company. I was thoroughly impressed with him. He was exactly like the other technicians I had at my other house so it confirmed my commitment to Collier Pest Control. “I even picked up the phone and called the owner and said ‘You’ve got a great employee with Gene. He deserves recognition and a promotion because of his thoroughness.’ I was a manager for 38 years and I know good employees when them and Collier Pest Control has the best. “I’ll be back!” says Tucker.